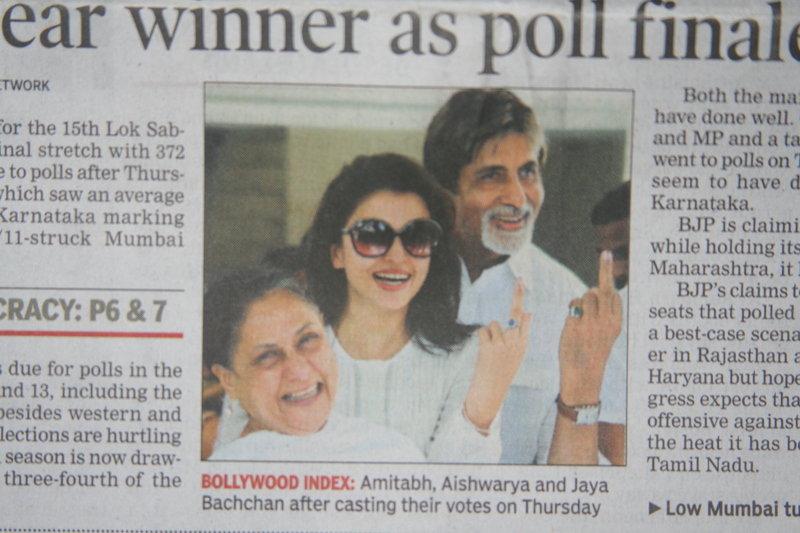 In the world’s largest democracy, this is how they show that they voted. A dab of ink on the middle finger, celebrities show their fans that they went through the system and at the same time have a real laugh. I usually do the same thing when I leave the elementary school gym.